US visitor or tourist visa is a non-immigrant visa that allows temporary stay in the US for the purpose of holiday or tourism. In securing US Tourist Visa for a Thai, the US Embassy would determine the qualification of the applicant based on their eligibility under all applicable US laws for this visa category. Although there might be no definite assurance of the visa approval, it is still helpful to know how one can increase the chances of getting the application approved. Applicant must support their application by presenting property documents such as car registrations, title deeds, or land titles under his/her own name. The financial capacity of the applicant is also considered and must have finances enough to cover the expenses that would be incurred while staying in the US. A bank statement can be shown as proof of financial stability. An intending visitor must present sufficient grounds and reason why they would like to visit the US. US Visitor Visa is issued solely for the purpose of leisure and spending short holidays. The applicant must provide travel itineraries that show activities and schedules during the stay in the US. What kind of industry are you doing? Do you hold any key position in the organization? The length of employment is also considered. This will help the US Embassy determine the applicant’s responsibilities and source of funds that would compel him/ her to go back to Thailand after the intended stay. Should the applicant fail to meet the financial capacity to support themselves during their trip to the US, he or she must have a willing sponsor. The sponsor fortifies the application by presenting evidences that he or she is willing to pay the travel expenses on the applicant’s behalf. The US Embassy wants to ensure that the intending visitor is less likely to seek assistance from public funds once in the US. While the US law permits sponsorship for the visitor visa, the applicant must prove authenticity of relationship with the sponsor. For family members, birth certificate or marriage certificate to show must be presented. Additionally, evidences that show continuous communication must also be submitted such as pictures, chat conversations, e-mails, etc. 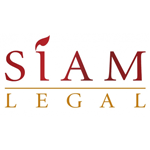 Upon application, the intending visitor has to declare the length of time he/she intends to stay in the US and must provide a date of return to Thailand. 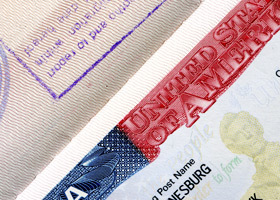 The maximum stay in the US under this visa category should not exceed 3 months. The intending visitor must present hotel accommodation and bookings which shows the place where he/she will stay in the US. If the purpose of travel is to visit a family member or a relative, the applicant must provide the US address of the family. This can be supported by an invitation letter or documents serving as proof of address. US Tourist Visa applicant must present strong economic and social ties in Thailand to secure a favorable grant as it suggest reasons for the applicant to return back to Thailand. It may be the family, job, properties or finances. Ties presented must also have supporting evidences.